Happy Spring and welcome to our new subscribers. We hope you will share LIBeerGuide Brewsletter with other beer loving friends. 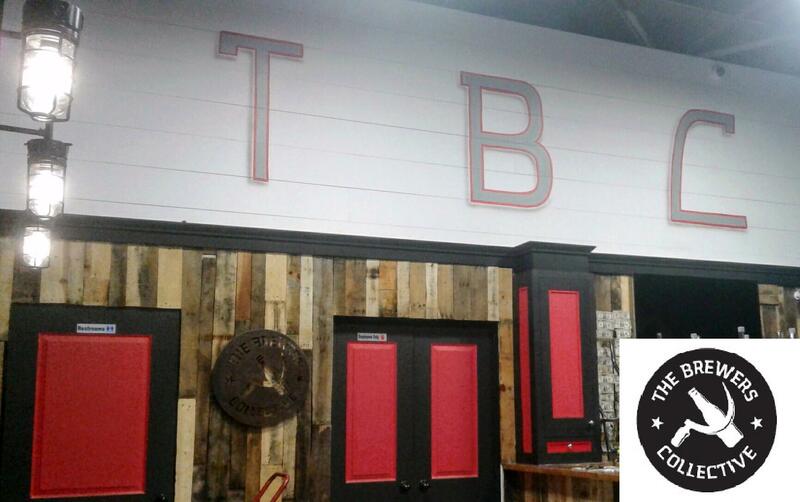 The LI craft beer scene continues to expand with the opening of the 26th brewery tasting room on Long Island. On April 15, The Brewers Collective Beer Company will hold a grand opening celebration in Bay Shore at 1640 North Clinton Avenue, Unit C. The brewery, which proudly proclaims its collective ownership, was founded in 2007 as a homebrewing club and debuted their beers to the public in 2012 at the Blue Point Cask Ale Festival. Based on the overwhelmingly positive response, the club decided to take the plunge to become a commercial brewery and applied for NY State's farm brewery license. After getting the license in 2014 they spent time at the Taste of Long Island brewery incubator in Farmingdale perfecting recipes while searching for a space of their own. The new Bay Shore brewery and tasting room is at the north end of an industrial building, and houses a 3-bbl electric brewing system and a small tasting room with 12 taps and a cask ale. The head brewer is Tim Dougherty and other comrades are his wife Sarah Rich-Dougherty along with Mike Depietto, Terry Gillen, Mike Stetson and Jason Weingarten. Brewers Collective is known for its creative takes on historic beer styles including gruits using herbs from East End farms and IPAs like Useful Idiot IPA using locally grown hops. The grand opening celebration on April 15 will run from 1-9 pm featuring live music and food trucks. Tasting room hours will initially be Thursdays 5-8 pm, Fridays 4-9 pm, Saturdays 12-8 pm and Sundays 1-5 pm. More brewery tasting rooms are poised to open on Long Island, including BrewSA Brewing Company on the Nautical Mile in Freeport, which plans to open in time for the busy summer season. In the third of our monthly spotlights on LI beer destinations (January focused on Oyster Bay and February on Montauk), this month we spotlight Riverhead, which has emerged as a vital hub in the LI craft beer scene. Riverhead is currently home to three craft breweries with tasting rooms, with two more in development, and has a growing number of gastropubs with farm to table menus taking advantage of the proximity to North Fork farms. Downtown Riverhead has been revitalized in recent years with the restoration of the historic Suffolk Theater and new walkways along the downtown waterfront. Riverhead is also home to the historic Polish Town neighborhood, anchored by St. Isidore's Church and the Riverhead Polish Hall on Pulaski Street, home to the annual Polish Town Civic Association Fair that draws thousands of festival goers in mid-August to enjoy pierogies and polka music. Breweries: Long Ireland Beer Co. was founded in 2009 by longtime friends Dan Burke and Greg Martin, who started out contract brewing their flagship Celtic Ale and then opened their Riverhead brewery and tasting room in 2011 with a 15-barrel brewing system. Last year Long Ireland moved most of the production of Celtic Ale and its popular Summer Ale and IPA from bottles to cans, which helped to increase production to keep up with increased demand. 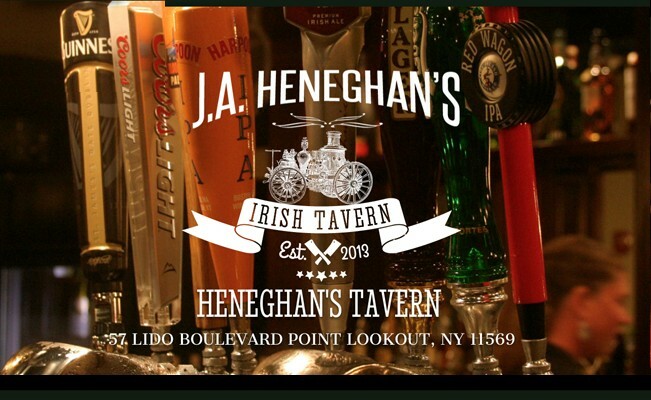 This brewery, proudly named after the Irish heritage of its founders, is nonetheless located in Riverhead's Polish Town and hosts many cool events throughout the year, including the Pintwood Derby coming up on July 22 and the Halfway to St. Patrick's Party in mid-September. Crooked Ladder Brewing opened in fall 2013 in downtown Riverhead on West Main Street next to Digger's Pub. Originally founded by brothers David and Steve Wirth and brewmaster Duffy Griffiths (formerly brewmaster at John Harvard's in Lake Grove), Crooked Ladder has a 7-barrel brewing system and has added more fermenters to keep up with demand. After Duffy Griffiths left the brewery to join Greenport Harbor Brewing, assistant brewer Stevie Czelatka took over as head brewer and now oversees brewing of mainstay brews Gypsy Red and Downtown Red along with many delicious seasonals. Moustache Brewing Co. opened in April 2014 following a successful KickStarter campaign (proudly supported by LIBeerGuide) launched by co-founders, co-brewers and spouses Lauri and Matt Spitz. They opened in an industrial space on Hallett Street, across from Polish Park, with a 2-barrel brewing system and quickly established a loyal following for their great beers and fun events. Like the other Riverhead breweries, Moustache has expanded production and added a canning line to keep up with demand. All of the Riverhead breweries have made beers using hops from local growers including Condzella Farms in Wading River, L.I. Hops in Riverhead and Weskofske Farms in Peconic. There are two other craft breweries in Riverhead with plans to open tasting rooms: Long Beard Brewing is renovating a former firehouse on Second Street and Twin Forks Brewing has submitted plans for a brewery and tasting room in an industrial area on Raynor Avenue. Gastropubs and Beer Bars: There are many good places in Riverhead to enjoy locally sourced food paired with great LI beers. Tweeds Restaurant & Buffalo Bar is located in the historic J.J. Sullivan's Hotel that dates back to 1896. Tweeds is known for serving bison steaks and burgers under the watchful eyes of the trophy head of the last bison hunted by Teddy Roosevelt in the Dakota Badlands. Another Riverhead institution is The Birchwood of Polish Town, which has offered hearty Polish food for over 80 years. Downtown on West Main Street is a longtime local favorite, Digger's Ales & Eats, which first opened as Digger O'Dells in 1993 and was relaunched in 2005 by owners Cheri and Steve Wirth. Digger's offers hearty pub food and 16 beers on tap, including brews from next door neighbor Crooked Ladder. Two more recent additions to the downtown foodie scene are Joe's Garage & Grill, which opened in 2014 and serves delicious BBQ and local brews in a unique car-themed setting, and Perabell Food Bar, the second location for the popular gastropub in Patchogue, which opened in 2015. 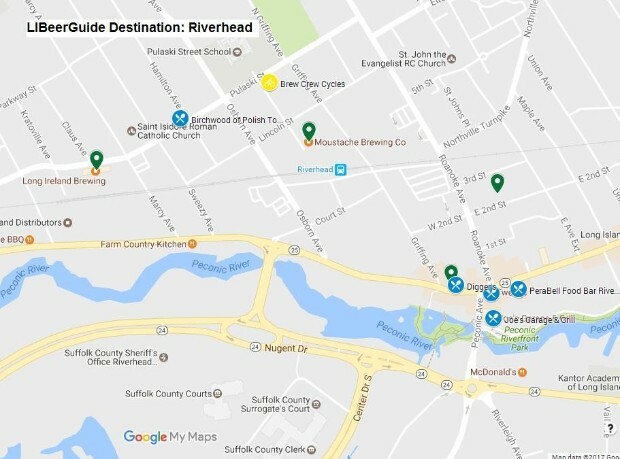 Brewery Tours: For visitors coming on the LIRR, the Riverhead station (on the Ronkonkoma branch) is located a stone's throw from Moustache Brewing, and Crooked Ladder on Main Street and Long Ireland Beer Co. in Polish Town are all within a mile walking distance. But for a fun way to tour the breweries and burn off some calories, check out Brew Crew Cycles located in Polish Town. Now in its third year, Brew Crew Cycles offers a 2 1/2 hour tour of two of the three breweries plus a stop at The Birchwood of Polish Town, all reached by pedaling on a 14 person bicycle. Brew Crew cyclers receive discounted prices on beers and snacks. Tours are currently offered on Saturdays and Sundays with weekday tours coming later this summer and special events throughout the summer and fall. Another convenient way to experience the Riverhead beer scene is with Tapped Enterprises/LI Beer Bus, which offers customized bus or van trips to visit the breweries and have lunch at a gastropub. April 8 -- 2nd Annual Cask Ales Festival Fundraiser, Mill Roadhouse, Westhampton Beach, 4-8 pm, benefiting the Barton Center for Diabetes Education. April 22 -- 14th Annual Blue Point Cask Ales festival -- last festival to be held at Blue Point's River Avenue brewery, 2-6 pm. 60 breweries, live music and great food. April 29-30 -- TAP New York Craft Beer & Food Festival, Hunter Mountain. 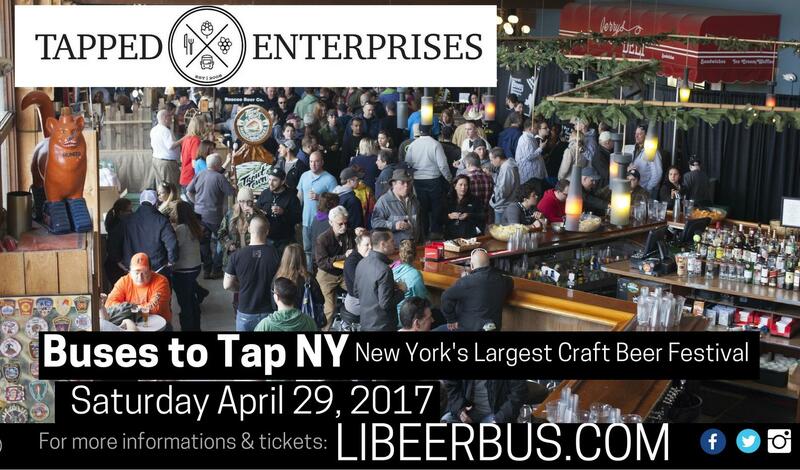 Tapped Enterprises/LI Beer Bus trip to Saturday session 1-5 pm, includes a festival ticket. Sunday session noon-4 pm. May 13 -- Nautical Mile Brew Festival, Tropix on the Mile, Freeport. Two sessions, 1-4:30 pm and 6-9:30 pm. May 20 -- Patchogue Craft Brew Festival, The Emporium, Patchogue. Two sessions, 1-4:30 pm and 6-9:30 pm. For more festivals check out LIBeerGuide's Beer Festivals page. LIBME (Long Island Beer & Malt Enthusiasts) will celebrate the 10th anniversary of its founding with a pub crawl in Patchogue on April 15. The crawl will include stops at BrickHouse Brewery and Blue Point. LIBME holds monthly meetings on the first Wednesday of the month and newcomers are always welcome. B.E.E.R. (Brewers East End Revival), LI's oldest homebrew club, will hold its 21st Annual BEER Brew-off competition on May 13 at Great South Bay Brewery. Entries are welcome from all homebrewers on LI and info is available at this link. Handgrenades Homebrew Club holds monthly meetings on the third Tuesday of the month and held its last meeting on March 21 at Garvies Point Brewery in Glen Cove. Newcomers are always welcome and homebrew classes and bottle swaps are held at the Homebrews and Handgrenades shop in Baldwin. For more events check out LIBeerGuide's Events page. Copyright © 2017 LIBeerGuide, All rights reserved.